Elevation: 8,740 feet. Landed on a dead spruce trunk. Looks like it has an ant. I believe it is a bee killer but unlike any I have seen before: yellow on back with a black tip on body. 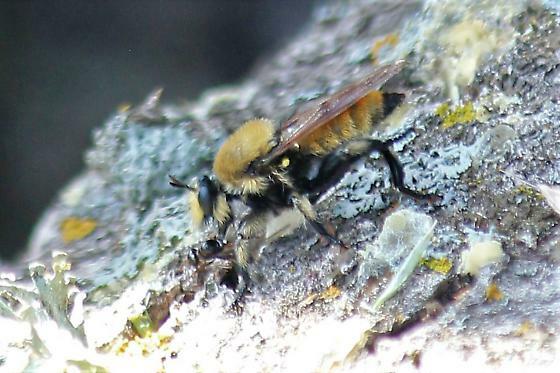 This looks like a female Laphria engelhardti. (south-western) Hold on for an expert.